Did OnLive Just Shutter Its Cloud Gaming Service and Fire All Its Employees? Michael McWhertor over at Polygon is reporting that OnLive, best known for its cloud gaming service (and also it's 'streaming' version of Windows), is closing up shop and giving all its employees the boot. According to e-mails forwarded to Polygon from anonymous, supposedly former OnLive employees, the company will no longer exist as of today. "I wanted to send a note that by the end of the day today, OnLive as an entity will no longer exist," reads an email forwarded to Polygon. "Unfortunately, my job and everyone else's was included. A new company will be formed and the management of the company will be in contact with you about the current initiatives in place, including the titles that will remain on the service." 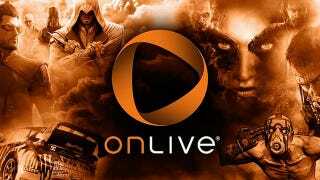 I have no comment on the news other than to say the OnLive service is not shutting down. I'm sorry I cannot be more specific.